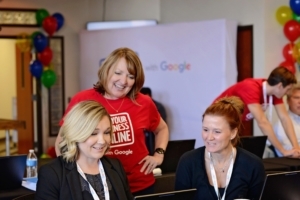 As a public speaker for Google’s Get Your Business Online (GYBO) program, my mission is to teach as many business owners as possible about the free (and low-cost) Google tools and products that are available to them. Here’s a quick look at just a few of these Google tools. A free one-page website available to every claimed and verified Google My Business listing. It’s great as a starting place for those businesses just getting started. Bring one of Google’s 15 National Trainers to your event, anywhere in the US! There’s no cost to your organization, and the level of education and training is top notch. Learn how to bring a trainer to your event here.